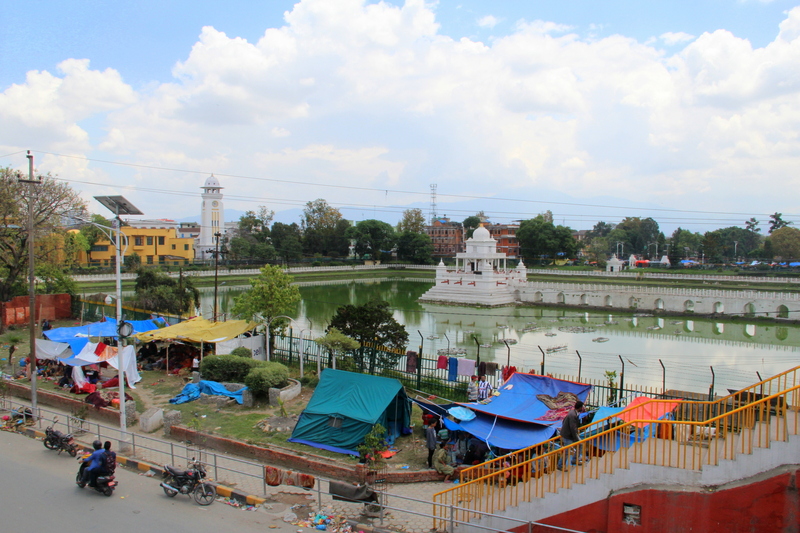 Things don’t seem to be getting better here in Kathmandu. As the death count rises toward 10,000 and the number of affected people to 8 million, new challenges appear. 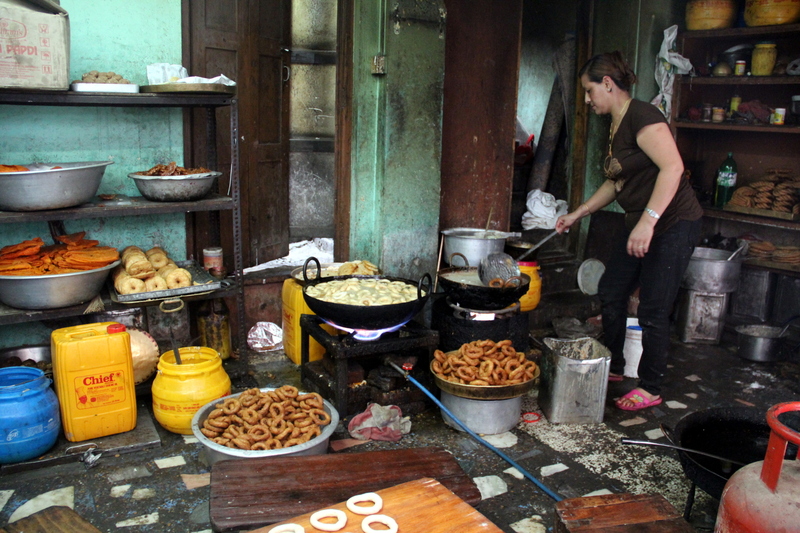 Aftershocks are more or less over, but power outages are the norm, communications are non-existent (cellular data are long gone, this post was published a day after being written in the only hotel that offers internet access a few hours a day), and sanitary conditions are the emerging risk. Local people remain crammed in improvised camps with no sewage systems, while trash piles up everywhere. Some people have started wearing masks. The pre-monsoon storm that hit yesterday, despite making everyone wet and cold, might have been helpful. Food doesn’t seem to be an issue for now, as most people abandoned their homes carrying goods, and there are several posts distributing help, but that won’t last long. Most of the effort is still concentrated on rescue missions. Unfortunately, there is nothing we can do to help. The lines at the gas stations are becoming longer and longer, and most other businesses remain closed. We had decided to wait out for a couple of days, but nothing seemed to change after the mandated 72 hours emergency period. Last night, we were kicked out of the Yak & Yeti hotel; as actual guests prepared to sleep in their rooms for the first time, the manager wouldn’t allow people to camp in the lawn or lobby any longer. We found a room in the nearby Woodland hotel for a steep $80, still unwilling to go to the cheap guesthouses in old Thamel. The night is definitely the worse part of the day, and indoors you’re guaranteed to be woken up by tremors. 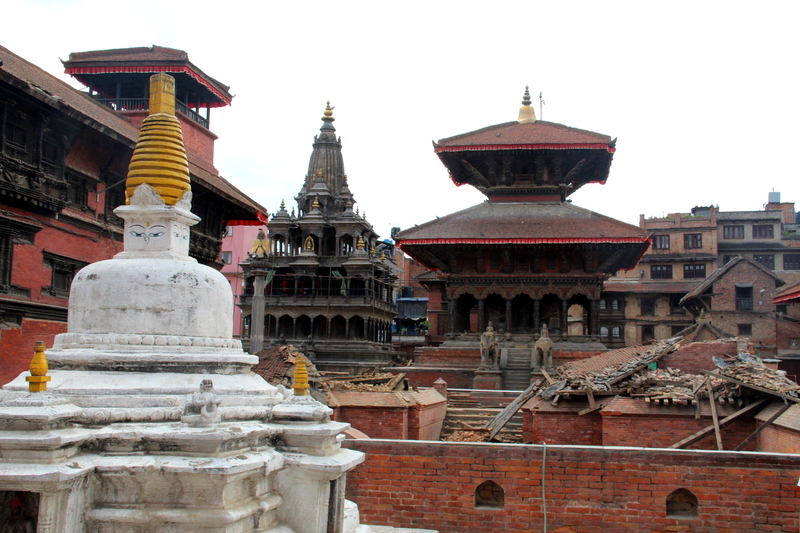 To keep ourselves busy, we went to check out Patan, a famous medieval town, now pretty much a suburb of Kathmandu. 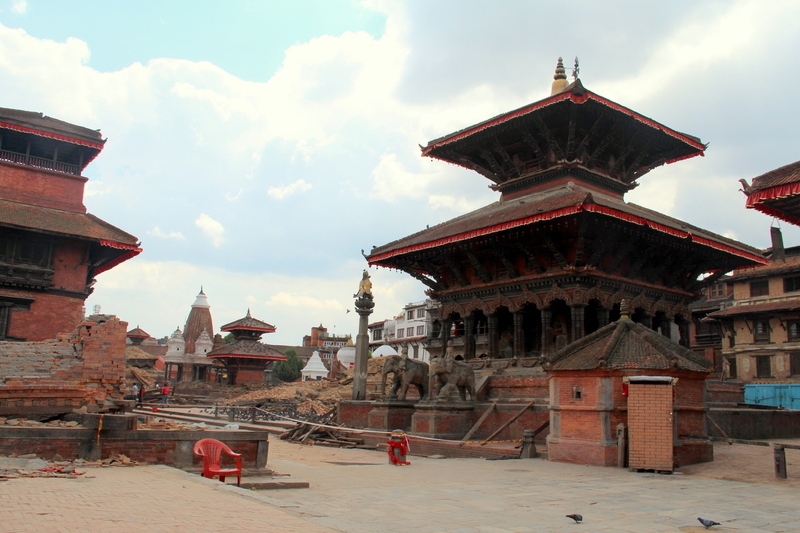 Its amazing Durbar Square, with multiple Newari temples, rivals Kahmandu’s. 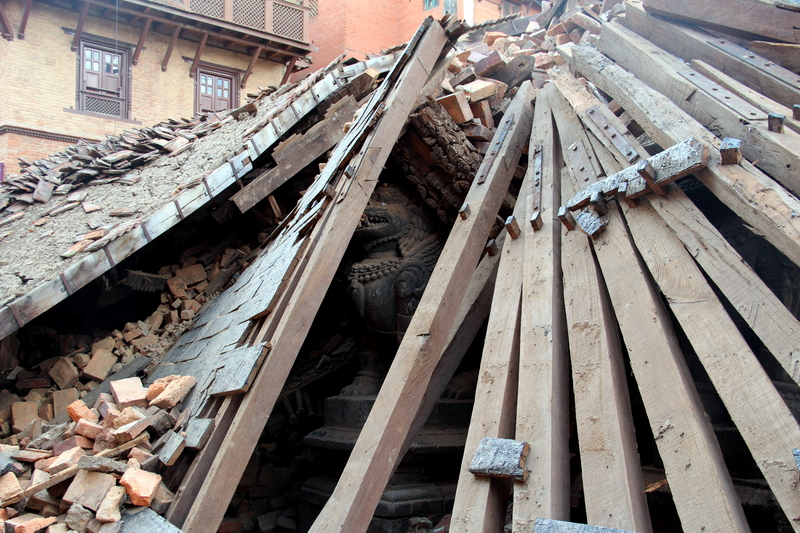 The damage was also similar; several constructions had collapsed completely and others were severely cracked. A local man tried to explain to us, the only foreigners around, what had happened, with clear distress in his face. 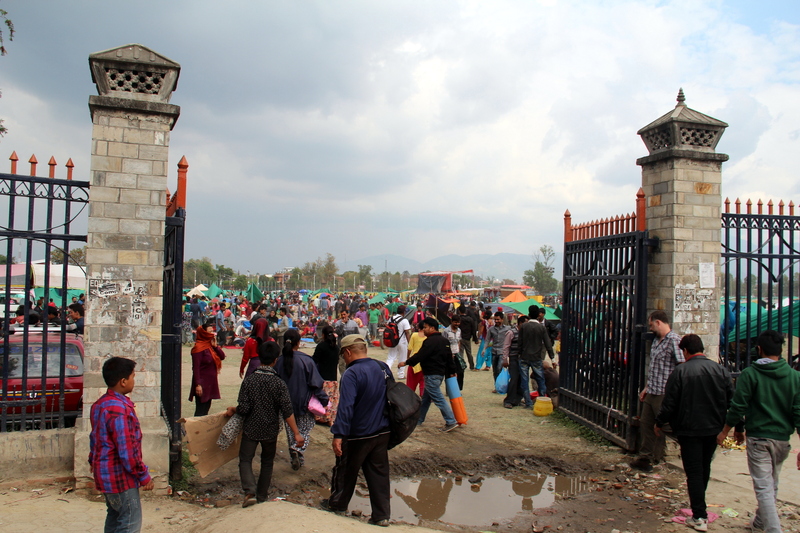 Around the center, there were two large refugee camps, one on the back of Durbar Sq., and one in the school. Getting a taxi was almost impossible, and prices were up 3x. At least, we managed to buy some chicken and sweets at holes in the wall, exchange money, and confirm that internal flights were getting reinstated. But what we heard about EBC was discouraging: the conditions on the trail seem to be dangerous, with high risk of landslides and teahouses inoperative. Little by little, we let go of our dream of hiking to Mt. Everest. Awesome blog! 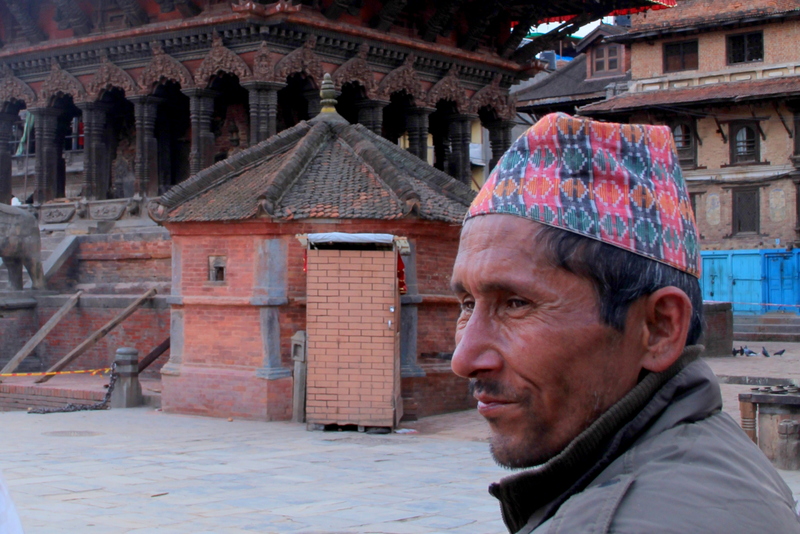 Very vivid account of your experience in Nepal during the earthquake. Thanks for sharing. This was very sad and also very hopeful and useful. 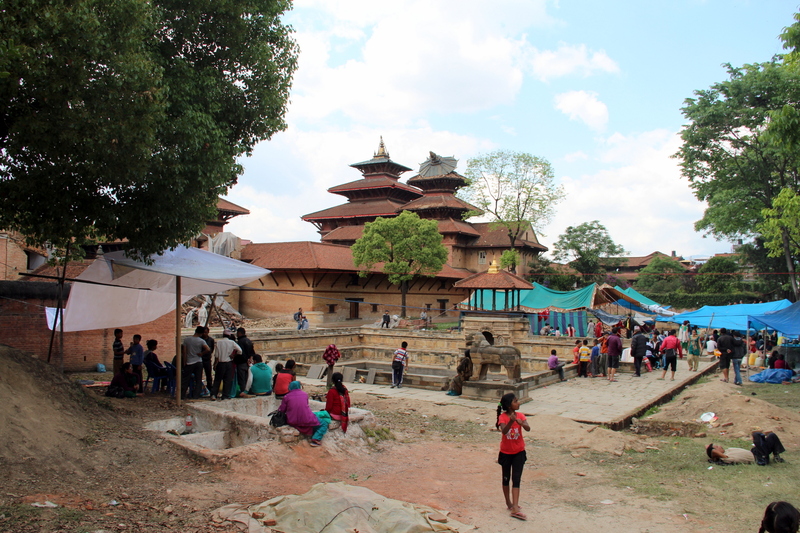 We are in the midst of deciding whether to keep our plans to spend 6 days in Kathmandu Valley in early November before going on to Bhutan or to switch to Angkor Wat for that time instead. We would like to give our money to Nepal–we have already given it some of our hearts. What you’ve written so far makes me even more inclined to keep our plans to go to Kathmandu. Thanks.